The issue contains a special introductory summary in which the authors, including the regional Dean of the University, addressed the purpose of the issue, stating, “The purpose…is to not only further our understanding of the health consequences, epidemiology, etiological factors, and effective programs and policies that are relevant to the epidemic, but also to provide resources and succinct, evidence-based, comprehensive, and instructive knowledge for future research and practice.” Although this topic has received considerable attention, substantive gaps in the literature remain. Each of the papers in this special issue extends this knowledge with results of ongoing research and through updated reviews of existing work. The percentage of children aged 6–11 years old in the United States who were obese increased from 7% in 1980 to nearly 18% in 2012. The percentage of adolescents aged 12–19 years who were obese increased from 5% to nearly 21% over the same period. In 2012, more than one-third of children and adolescents were overweight or obese. Measuring the bias, precision, accuracy, and validity of self-reported height and weight in assessing overweight and obesity status among adolescents using a surveillance system. 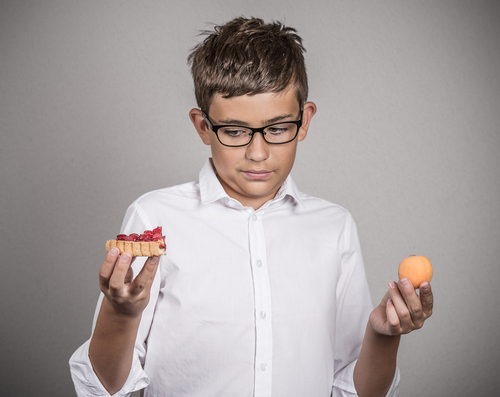 Socioeconomic inequalities in children’s diet: the role of the home food environment. Educational outcomes associated with childhood obesity in the United States: Cross-sectional results from the 2011–2012 National Survey of Children’s Health. Increasing access to healthful foods: A qualitative study with residents of low-income communities. Time with friends and physical activity as mechanisms linking obesity and television viewing among youth. The association between state bans on soda only and adolescent substitution with other sugar-sweetened beverages: a cross-sectional study. School-level economic disadvantage and obesity in middle school children in central Texas, USA: a cross-sectional study. Although there are race/ethnicity and gender differences, young people ages 12-18 can fairly accurately self-report their heights and weights. This may be useful with working with adolescents who are overweight and obese, to help them set goals that are relevant to their assessments of their own weight or BMI. For program evaluation, self-report is an acceptable proxy for direct measurement of BMI, though direct measures are recommended for research studies and/or by using correction equations for self-reported BMI as presented. The home environment matters for obesity prevention with young people, even when controlling for socio-economic status or among low-income populations. Having regular meals and healthy foods available at home, for example, are important to preventing or reducing childhood obesity. The school environment plays a very important role in obesity prevention. Young people who are overweight or obese may have other health problems and poor educational outcomes. These problems occur early in life, and so providing extra support to positively influence school educational outcomes may be critical to preventing longer-term negative social outcomes among those who are obese. There is a broad interest in having access to healthy foods in low-income neighborhoods. A consistently reported concern is the need for large grocery stores with ample produce and grocery selection nearby. Other approaches to increasing access to healthy foods, such as community gardens, were secondary to having access to a large grocery store. Time spent watching television (TV) has been associated with childhood obesity. However, prevention approaches may need to do much more than limit TV time. The relationship between overweight and TV viewing time may be mediated by social isolation and marginalization. So, a more comprehensive approach that seeks to reduce social isolation such as prevention of weight bullying and acceptance of a range of body types among young people may be as important as getting kids away from the TV screen. School policies restricting access to sugar-sweetened beverages may result in the unintended consequence of increases in other vended drinks with added sugars. States and schools need to have clear, consistent and strict policies around sugar-sweetened beverages so that if sodas are not allowed at school, then neither are other drinks that contain sugar (e.g., energy drinks). Providing only healthy no- or low-calorie beverage options, or low-fat milk, in schools seems an important step in making our schools healthy for kids. Schools that are economically disadvantaged should be an important target for community prevention efforts since those schools are likely to have more obese children, independent of individual family socio-economic status. Socioeconomically disadvantaged schools should receive priority for prevention programs and policies related to obesity.